Rewind to the 1980s, a humble car boot sale and a very lucky 22 year old Debra Goddard, who picked up what she assumed to be a piece of costume jewellery for a mere £10. Some 33 years later, the real value of the gem came to light when Debra took the sizeable stone to a jeweller to be appraised, in the hopes of raising a little cash to help out her mother, who had recently lost a great deal of money to fraud. 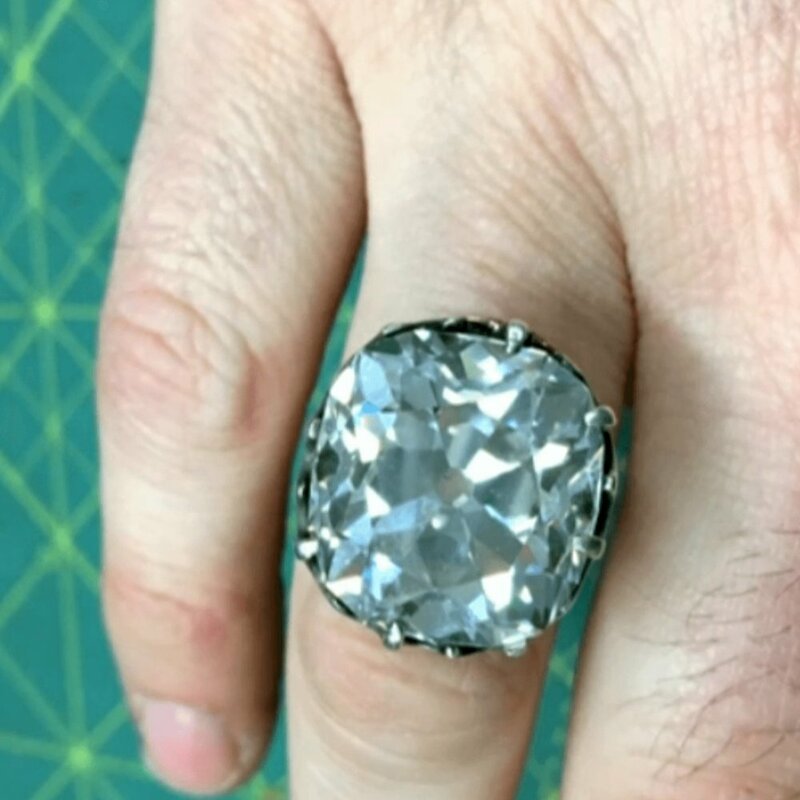 Upon realising the ‘costume’ gemstone was actually a whopping 25.27 carat old mine cut diamond, Debra decided to auction the diamond with Sotheby’s. The case astonished jewellers and industry experts alike, concluding with a £740,000 sale in Geneva. 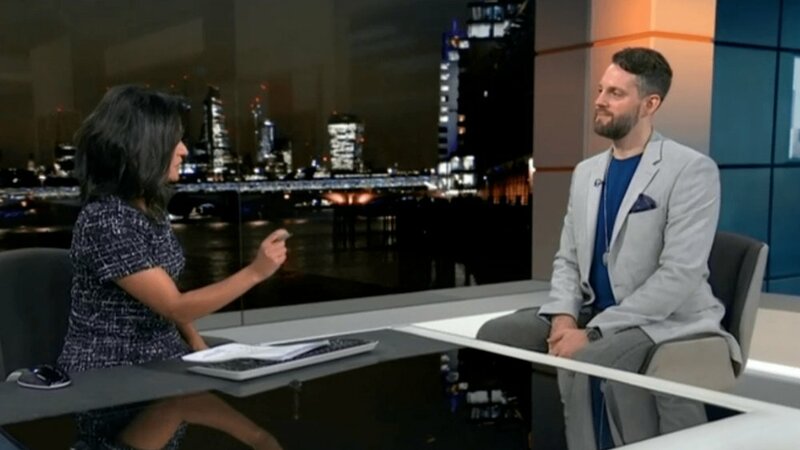 To discuss Debra’s luck and share his tips on how to spot a valuable diamond, our very own gemmologist Eddi visited ITV News. Whilst we’d never discourage punters scouring car boots and jumble sales for sparkly gemstones, Eddi did stress the rarity of Debra’s one in a million find. His top tip for those willing to brave early starts and bustling crowds? If you think you’ve found something special and the asking price is low, why not try your luck? You can then take your purchase to your local jewellers for them to cast an expert eye over. When it comes to sourcing a stone you can ensure is of top quality, Eddi shared a number of tips for choosing the perfect diamond for your jewellery or engagement ring. The first, to always shop for GIA certified diamonds. Of the Gemmological Institute of America, Eddi explained, ‘these guys are the gold standard world wide, they are the benchmark’. The GIA use the strictest standards to certify their stones, meaning you can be sure that you’re paying the fairest price for a stone that truly lives up to its certifications. This is why we only source GIA certified stones at Queensmith Master Jewellers, and have each stone checked by our in-house gemmologists to verify its beauty and grading, before the stone enters our showroom. Next up, Eddi explains the importance of the 4Cs, or the importance of ‘cut’ and ‘colour’, to be precise. These two diamond characteristics bare the biggest impact to the naked eye - we can see how sparkly a stone is and how bright a stone is without the use of a loupe, therefore should prioritise a high cut and high colour grade when selecting a diamond. ‘Clarity’, however, is a great place to compromise. This refers to the inclusions that natural diamonds pick up as they form. Unless a diamond is heavily included, these marks are usually miniscule, meaning you can pick up a diamond that is ‘eye clean’, where in the diamond appears clear to the naked eye, but only under magnification can inclusions be seen. At Queensmith Master Jewellers, we’re proud to say our gemmologists are GIA and Gem-A trained. With a passion for what they do, and a wealth of knowledge, our gemmologists are on hand to answer any queries you have about finding the perfect diamond or gemstone. As well as the tips and tricks shared by Eddi with ITV News, our diamond experts know a number of ways to achieve the perfect balance of the 4Cs as well as optimising individual budgets to source that perfect diamond. If you’d like to know more about selecting a diamond for your jewellery or engagement ring, get in touch today.